Outerwear: Oversized, embellished, and bold. Jackets: Embellished with soft shoulders, fitted, belted or peplum. Skirts: Nipped at the waist and full or pencil thin. Trousers: Lean, either straight leg or skinny. Dresses: Fitted or loose and slouchy. Footwear: Oxfords, boots, pumps, boxy heels, plus super high. The newest trend…shoes worn with socks. 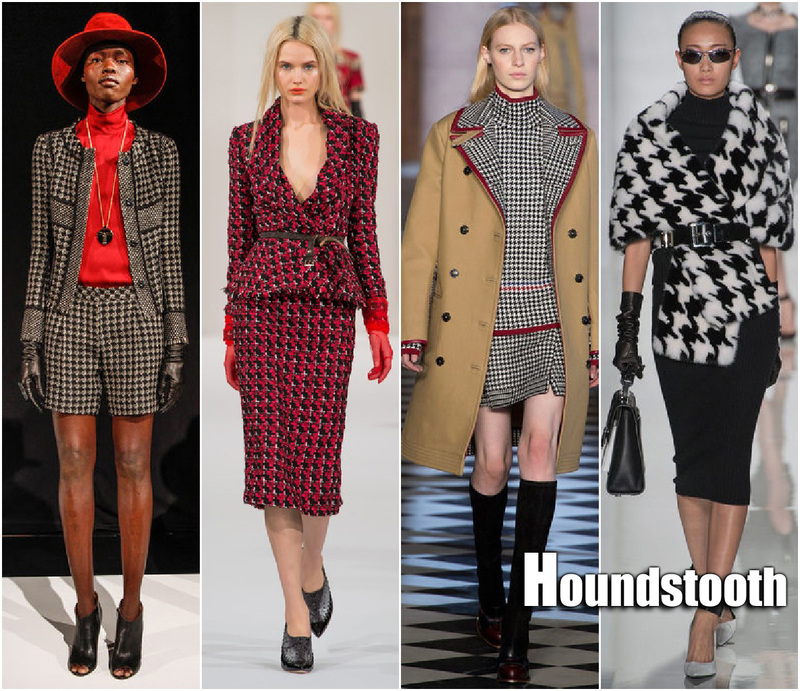 Patterns: Plaid, houndstooth, tweeds, animal prints, pinstripe, quilted, and colour blocking with black or blue and black with grey. Look for more trends to follow . . . This Fall Retro is Hot!!! Retro styling is hot, hot, hot!!! For Fall keep rolls, bouffants and pony tails clean, simple, and classy. 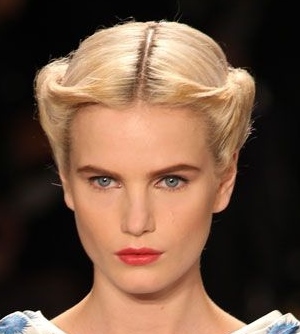 Keep it Retro Chic with classic shapes and cuts, but keep hair volume minimal. To make sure your vintage creation stays in tact all day use a misting of strong holding hairspray all over when you’re finished, like Goldwell HairSpray.